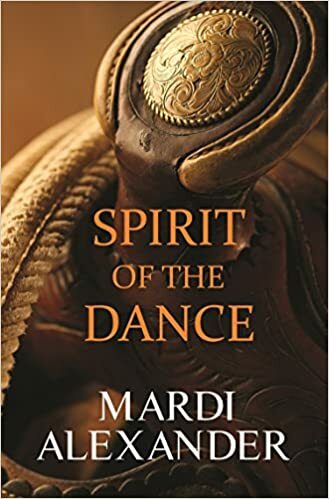 Spirit of the Dance by Mardi Alexander is a wonderful novel. It is well written, well thought out, and has great characters. Major Sorla Reardon has come back to her to her father’s homestead after serving in Iraq. She is been through hell and back, and has her mind set on bringing her father’s horse and cattle business back to its former glory. Sorla fights her through PTSD and the scars of war to establish a her new life as a civilian. Riley Johnson runs the local farm supply store. She is the daughter of a former bronc rider, a man who’s glory days have passed and now is a bitter alcoholic. Riley has spent her life on the rodeo circuit, and it has not been easy. She has learned to close off her heart, to protect her self from the abuse of the man who should love her the most. Riley’s life changes the moment she meets Major Sorla Reardon. I really enjoyed my time with this book. Mardi Alexander covers a lot of tough subjects in this book and she does it well. While each character has emotional and physical issues that they must overcome, you still get that this is a romance. It can be heavy at times, but the author did a good job of not letting these issues overwhelm the book. Both of the main ladies are strong, intelligent women who have had to persevere monumental obstacles in life. This western is worth your time!